and love them all equally." Born May 20, 1789, a school dropout at the age of eight, a young man of fifteen when he started his formal education, Marcellin Champagnat became through divine irony the founder of a worldwide congregation of teaching religious. His origins were lowly. He came from the fields, the dirt of the soil on his hands, the strength of the plow in his arms, the fire of a simple Christian faith in his heart, and the power of a holy purpose in his will. Once directed on the road to the priesthood by a providential meeting with a seminary professor, Champagnat never wavered. He studied with the determination and singlemindness that would later characterize him as seminarian, priest, founder, and educator. He struggled on, working hours on end until he was able to enter the major seminary of Lyons, France, where his industry soon earned him promotion to advanced studies. During those years he made friends with men of similar mold and joined with Jean-Claude Colin to co-found the Society of Mary, commonly called the Marist Fathers. Champagnat's reiterated appeals to include teaching Brothers led the Marist Fathers to delegate this task to him. Ordained July 22, 1816, the future founder became assistant pastor in LaValla, a small village of the Massif Central in the heart of France. On one of his many trips to isolated homes along the narrow mountain paths of his parish, he found a dying young man pathetically ignorant of the most elementary truths of the faith. The memory of this experience haunted him for days; he knew he had to act. Only six months after his ordination, he confided his hopes to two young men who accepted the challenge. On January 2, 1817, they became the first Marist Brothers. Three other men joined them a few weeks later. In time, under the prudent spiritual and educational guidance of Father Champagnat, they qualified to teach catechism to the children and adults of the parish. In November 1819 he assigned his first Brothers to the schools of LaValla and Marlhes, his birthplace. The young religious, trained by the dynamic curate in subject matter and methodology, soon earned an enviable reputation as teachers and pious men. As other candidates presented themselves, the Founder saw the need to expand the order's limited facilities. He soon began an extensive building program. Poverty was a very tangible condition of their life in these early days, and he himself worked on the building with the Brothers. He was architect, contractor, foreman. Besides meeting the challenge of his new career, he had to face any number of criticisms from fellow priests who repeatedly condemned him as a rash and foolish visionary. Ignoring this vocal opposition, he persisted in his plans, trusting completely in Divine Providence and in Our Lady, whom he called his "Good Mother" and "Ordinary Resource." Belief in a dream, dedication to an ideal, faith and sacrifice werethe building stones of the Hermitage, the first motherhouse of the Marist Brothers. In 1824 the young priest requested permission to quit his parish work and devote full time to the apostolate of his infant congregation, which now numbered thirty members. Until the year before his death he was superior, spiritual director, and school supervisor. Ill health, caused by his frequent travels, his endless hours of manual labor, and his asceticism eventually forced him to stop. 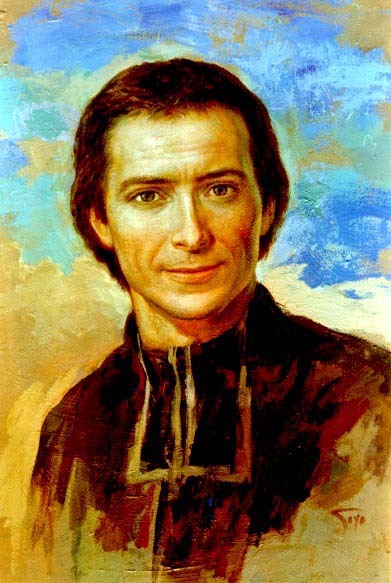 Marcellin Champagnat died June 6, 1840, at the age of 51, leaving his sons a legacy of sanctity, apostolic spirit, and educational zeal of which they are justifiably proud.